“Knowing Lisa believed in me taught me how to believe in myself”. “I left Uni following an emotional breakdown. I was spiralling into depression, feeling weak and helpless with high anxiety due to my troubled childhood and ongoing relationship issues. I had had therapy before but it did not help enough so initially, I was reluctant to consider help to try to experience life with a positive outlook. Your particular process of therapy showed immediate positive results. Things now have greatly improved. My depression has lifted and I feel a whole lot more capable and happier on a day to day basis. I’m out of a negative place physically and mentally. I’ve been able to do more things and have more fun. I’m more social, more active and better able to take responsibility for myself. You offer things that my previous therapists didn’t provide, like online chats and, the ability to adapt yourself to the person you’re treating. I cannot thank Lisa enough for all of her help. Her online course and one to one sessions have improved my quality of life drastically. 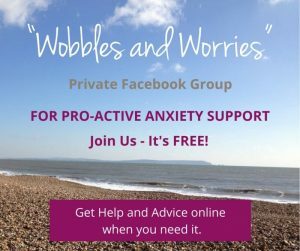 She is very easy to chat to and trust and I would recommend both the sessions and online course to anyone needing help. Lisa is an inspiration, she works from a true place of compassion and understanding. Lisa has helped me through a very difficult time. My life as a busy working mum was spinning out of control and eventually I became very ill. Lisa helped me to understand my illness and to see the positive in it and how it could serve me to discover what was important to me again. Lisa is a highly experienced and skilled professional who has the ability to put you at ease and be empathetic. She listens carefully and gets to the heart of the problem quickly. Now, thanks to Lisa I feel able to move forward with a positive attitude and put anxiety behind me in the past. “Lisa stuck with me and provided a safe and confidential space to untangle my negative thoughts and provide me with many strategies, which I now have at my disposal. I have definitely grown and realized some things about myself that perhaps I had not wanted to face up to before. “I feel I am better able to communicate with my children because I have managed to move back from a state of permanent crisis management to letting things sit for a while before having to act, as feeling that things are less catastrophic. I am better able to get them to communicate by giving them the space to communicate rather than trying to ‘force’ them to. I understand better how to read their cues – what they really mean rather than just taking their reactions as what they mean. I am better at setting boundaries earlier so that we reach crisis point less frequently. I’d like to thank you for supporting me with my self-esteem issues and anxiety. I can honestly say that having been to many therapists during my life, I never truly got to understand myself as I do now, having worked with you. You have helped me so much, above and beyond what anyone could expect, and there are times I do not know what I would have done without you. I was struggling with confidence in myself, and being over anxious about things. 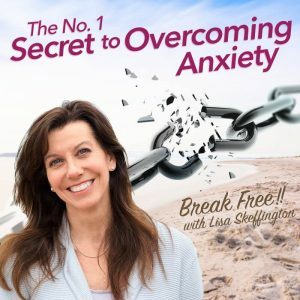 Lisa’s support has helped me to make a connection between my thoughts and feelings of anxiety. She is a very caring and supportive person who makes you feel at ease. I learnt to identify and counter any negative or anxious thoughts. I have noticed that this has definitely improved my moods and made me feel a lot more positive about my future. Lisa has really understood me as a person and I feel a lot more relaxed and happy about things and within myself. I would thoroughly recommend her to anyone who is struggling or going through something similar. When I first came to Lisa for help I was defined by labels I’d given myself over the years and felt truly stuck, feeling lost and inadequate. Lisa has helped me break down the barriers in my head to show me who I can be and allow me to appreciate the positivity in my life. My family, friends and colleagues have all noticed a difference, and perhaps most importantly to me, I now feel more confident and settled in a long-term relationship. Lisa’s relaxed approach and unique combination of therapy techniques have suited me perfectly and I can’t thank her enough for guiding me towards the person I now know I can be. When I contacted Lisa, I would blow up at the first provocation. I started to feel different from the beginning, and calmer all the time. I’m so relieved that I don’t shout and shriek anymore. I’m so much calmer now and I can see things more clearly. I had really bad nights with hours of laying awake, feeling exhausted. My sleep now is generally a lot better and I always go off to sleep straight away. It has definitely been a good investment for me. I was advised by a close family friend to use Lisa’s services after a very positive experience a few years’ back. The cost of these services reflects the quality. Lisa has a wonderful skill in making people relax and open up. She has a warming presence by telephone, Skype and face to face. 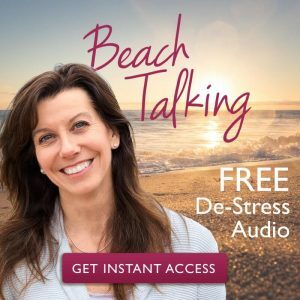 It took a matter of three sessions for me to realize what it was that controlled my lack of happiness and Lisa has helped me to be pro-active with some great strategies to deal with this. I strongly recommend her to anyone that needs any form of re-direction or help with finding what is a drag in their lives. “I met Lisa after a recommendation when I was in a very bad place with my mental health. My confidence and self-esteem was at a major low and I felt constantly tired and overemotional. It was having a very negative effect on my relationship and I was starting to feel like my boyfriend would be better off without me. Apart from my car, the 6-month therapy programme Lisa offered was the most expensive investment I’d ever made. At first I found that thought very overwhelming! But after years of battling depression and having recently increased my dose of anti-depressants following the loss of my granny, I realised that to make a real, long-lasting change to my life I needed to invest in myself and my future. And it was so worth it! Lisa gave me such a personalised service and took so much time to address every issue I was facing. I loved the range of techniques she uses, and I really think the hypnosis element helps cement everything I learnt. 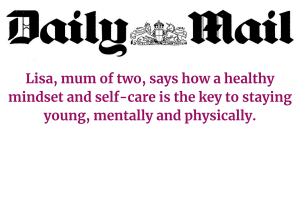 I highly recommend the online course, which I used alongside my one-to-one therapy sessions. I found this easy to use, and the videos and downloadable content were very helpful to practice what we’d covered in our sessions, particularly around changing my negative thinking patterns. Lisa is very honest in her approach, and very truthful and helpful. My son was getting anxious when competing in sport, and he was anxious about a lot of things in life generally. Things are much more positive for us as a family now. We can talk about our feelings and things, in general, a lot more easily and my son can cope better with the stress of competing. When I contacted Lisa, I needed to find a way out of a tricky relationship. There were changes I needed to make and commit to, but I didn’t know how. My situation has changed significantly now because I have grown to accept my self-worth. I’ve learned to have the confidence to be honest in a relationship and to recognize that this is always the best way. Whilst your support is not an inexpensive investment, I really can’t put a price on having the weight lifted off my shoulders! How you have helped me is definitely value for money. The way you’ve dealt with things has seemed really structured and I got something out of every session. I would definitely recommend you. Since seeing Lisa my self-esteem and confidence have undergone a transformation. From the start I felt comfortable with Lisa because she is easy to talk to and to trust, even when talking about difficult subjects. I now feel a lot more positive and in control of my life, and more than anything, have learnt to stop blaming myself for past mistakes. I would definitely recommend her. Lisa was recommended locally by a friend for help with our daughter who was having panic attacks at school and skipping meals. Things are so much better now in every way. Most valuable to us were the parent support sessions with strategies to help us to understand and get to grips with strategies to cope. Lisa has definitely met our expectations. She is professional and is easy to open up to. We have already recommended her. I feel an incredible appreciation of you Lisa. You have an amazing calm and strength when you talk to me and an incredible positivity. Thank you from the bottom of my heart for what you are doing to support me, my daughter and indeed my entire family! I felt anxious about how my parents viewed me and I was worried I wasn’ making them proud. What you have done for me is amazing. Everything with my parents is so much better and I don’t worry about many things anymore. I knew by the end of the first session my doctor’s recommendation had been spot on.